Authentically sculpted 17cm figures featuring multiple points of articulation. Includes stand and accessories. Styles may vary. 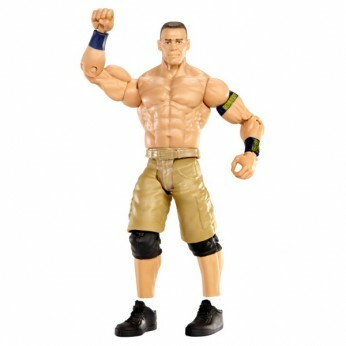 This toy costs approximately £16.99 (for the latest and best prices make sure you check our retailer list for the WWE Elite Series 23 John Cena above). In our review of WWE Elite Series 23 John Cena we classed it as being suitable for ages 4 years, 5 years, 6 years, 7 years, 8 years but recommend you check the manufacturer specific advice before purchasing.